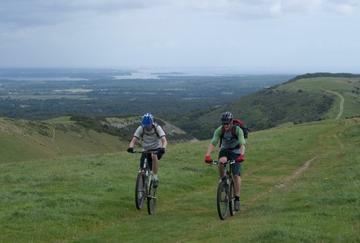 Are you mountain biking solo but would like a more sociable ride? Is your mountain bike gathering dust in the garage? Would you like to get out cycling but not keen on road riding or want something with more adrenaline? Then look no further! Knaresborough Cycling Club has launched a mountain bike group, alongside its established road cycling groups, and the first outing was on Sunday 6th March. Rides leave every Sunday, at 9:30am, from Chapel Street Car Park in Knaresborough. We will be running weekly Sunday morning MTB rides using the great network of local bridleways as well as occasional trail rides further afield at places like Stainburn and Dalby Forest. 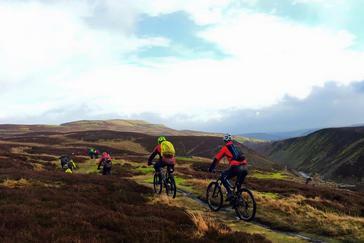 We will aim to cater for both seasoned mountain bikers and those who are new to mountain biking. Expert mountain bikers bikers seeking a more challenging experience may wish to contact Rob at Pedalheads Cycles in Knaresborough @PedalheadsCycle who runs midweek evening MTB rides. If you need any more information, please contact us – we look forward to welcoming you along.